I’m delighted to have Olivia Helling on the blog. I met her through our work raising funds for gay/bi Chechen refugees, started reading her work, and became a huge fan. She’s also a great colleague; I’ve benefitted from her insights into finding your unique voice as an author. Here, she shares wisdom from a recent trip to to historical sites featured in her paranormal Damon Snow series. Enjoy! Gravel crunched as I skidded down a snaking road. On either side, steep stairs climbed up twin cliffs. And in front, on a concrete-covered lot the width of two parked cars, was Port Meudwy. I’d travelled a thousand miles to get here, completely rearranging my UK itinerary to drive two hours along the sliver of Penn Llyn in North Wales. And it wasn’t what I imagined at all. In the middle of booking my great British adventure, I’d gotten obsessed with Gillian St Kevern’s Deep Magic series. After finishing books 2 and 3, and then re-reading the whole series again from the start during my Christmas break, I’d hounded Gillian about the next book. There had to be one, right? There would be, but in the meantime, I couldn’t wait. I found out that the series’ Welsh hamlet setting Aberdaron really did exist, and that I really could travel there. My husband agreed. A week to relax on the coast would be fantastic, he said. Relax, sure. My whole purpose was to fangirl out. So there I was in Aberdaron—Port Meudwy, to be exact, about a thirty-minute walk from the hamlet proper, so long as one avoids the coastal path up and down the cliffs. In the first book Deep Magic, the main character Oliver sees a ghostly visage of the man he loved in this boat harbour. In my head, as I read the passage, I saw a spacious stretch of beach with some vague idea of fishing boats, and maybe some cliffs behind the action. In reality? 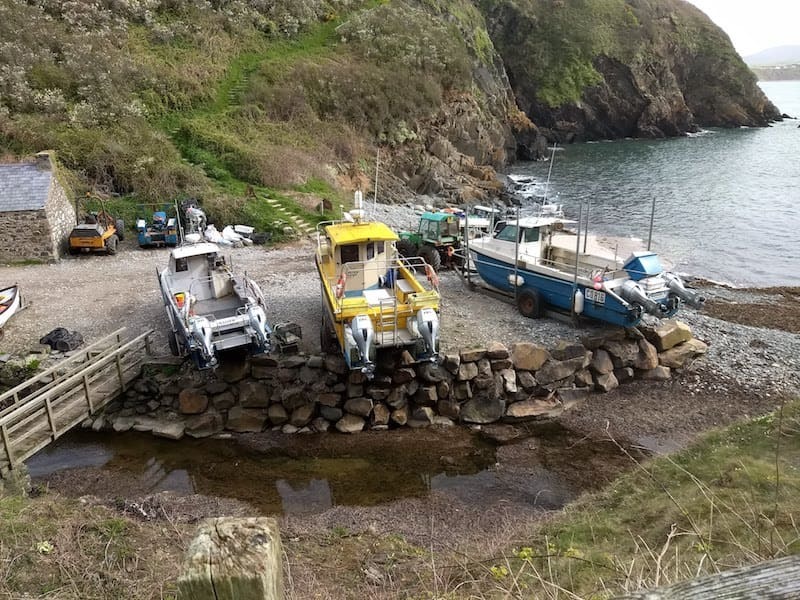 This port was a tiny sliver between cliffs just wide enough to park the boats and manoeuvre a forklift to take them down to the water’s edge. Port Meudwy. Photo by Olivia Helling. The passage’s details were correct, but my sense of spatial distance was totally wrong. Writing teachers and authors kept telling me that you absolutely must visit the locations you write about. You can’t fully describe the streets and the water and the feel of the city without having lived it. I was even told this by a writer who visited Sudan for her novel and came back with both research notes and PTSD. Not exactly encouraging. Perhaps that was once true, but today we have Google Maps’ Street View, online photos and a hundred travel websites to tell us exactly what each city and building in every city is like. Besides, I write historical and fantasy romance. In the former, the city I’m writing about no longer exists. In the latter, the city never existed to begin with. Research has to be enough. We’re all a bit biased when it comes to settings. I grew up on the Canadian prairies. We have wide roads, detached houses, big yards, and even bigger skies. Saskatchewan is the flattest place on earth outside of the ocean. So when I read a book set in Regency-era London or contemporary Aberdaron, my imagination inserts a lot of space, big skies, and flatness where there’s cramped roads, steep hills and townhouses. But give me Jordan L Hawk’s Fallow, a prairie farming town, and my mind’s eye is pretty accurate. That’s a problem. When I’d written my paranormal regency Nocturnal Confession, I spent a lot of time researching Bath, England, in 1810. The more I learned, the more I yearned to actually see this place. Unfortunately, I only got the chance on this trip, three years after the book’s release. Then I realised just how many limitations my research had. 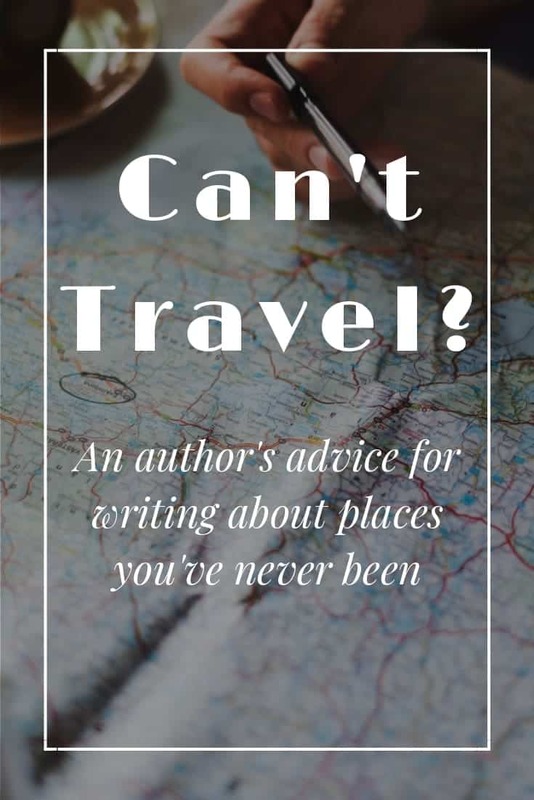 Does this mean that if we can’t travel somewhere, we have to stick to writing about our hometowns? No, but to do our best to convey our settings accurately and authentically, we do need to be aware of our biases and research limitations. So here’s a few of my experiences to get you started. In Nocturnal Confession, I needed a secluded countryside location, and so searched for a suitable location through contemporary sketches and paintings. 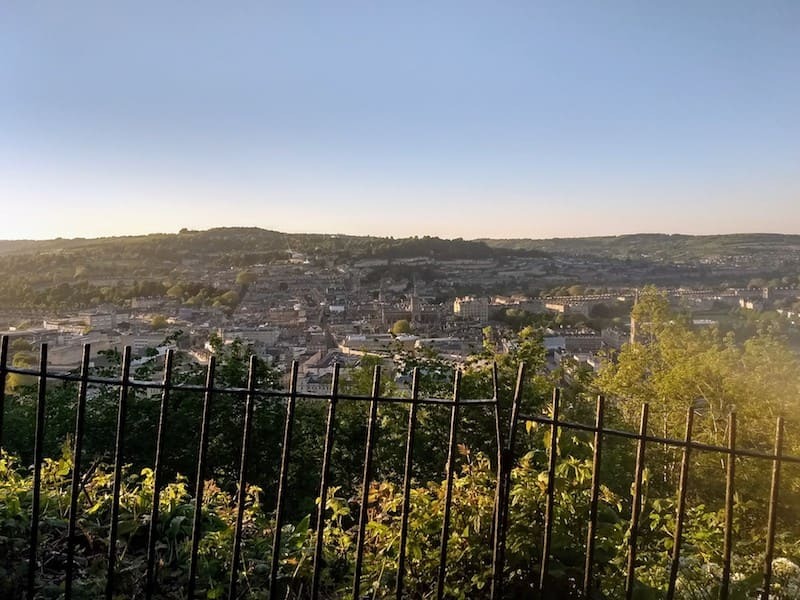 I settled on Panorama of Bath by J.W. Allen (1833). As the title suggests, the painting shows Bath from the top of Beechen Cliff. But what a painting can’t do is let me manoeuvre it so I can take a look over the hillside — which, my erstwhile travel companions only realised as we climbed up Devil’s Drop path to see this vista for ourselves — is actually a cliff. It’s all in the name. What seemed like a grassy hill all the way down was actually a steep drop thick with beech trees and bushes. Beechen Cliff. Photo by Olivia Helling. When it came to where my protagonists would take up residence, I chose the Royal Crescent, mainly because No. 1 Royal Crescent now exists as a museum, complete with an online floor layout and photos of rooms furnished as they would have been in the Georgian era. The Royal Crescent is now a huge tourist landmark, with crowds gathering in the public park below to snap photos of it, so I had plenty of exterior photos to refer to. Except that when I looked at the photos, I couldn’t imagine how they could fit a stately residence befitting gentry and nobles into these itty bitty holiday homes. Judging from the layout of No. 1, there’s lots of spacious rooms. Was this some kind of Time Lord science where the inside is bigger than the outside? I couldn’t really grasp the answer until I approached the Royal Crescent. Even dozens of yards away, the Royal Crescent towered above me. Each ceiling has to be at least twelve feet high, with three floors, plus a basement for the kitchen and attic for the servants. Standing on the sidewalk, I barely came up to the main floor’s window sills—and I’m almost 6 feet tall. Each townhouse may be comparatively slim, but they also extend far back. They really were grand holiday mansions. If you’ve read any Regency romance ever, you’ll likely have heard of the Pump Room and the waters of Bath. 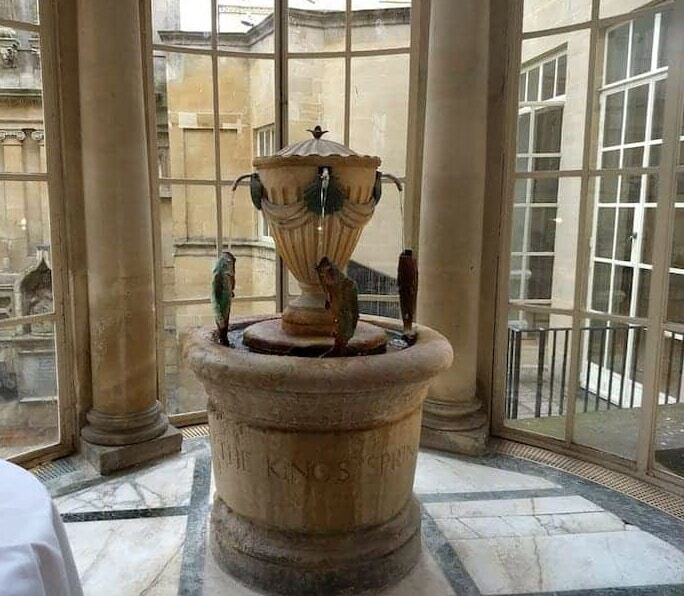 Taking the waters was the sole reason why my protagonists went to Bath at all, and so the Pump Room was at the top of my trip bucket list. There, I discovered that Bath Water is not as foul as I’d imagined it would be or been led to believe. It’s like drinking hot water, if it was a little oily and had a slight metallic aftertaste. It’d hardly be a hardship to drink a couple of litres of the stuff today—unless you live in an era where drinking water meant death, and so avoided it. The Pump Room at Bath. Photo by Olivia Helling. 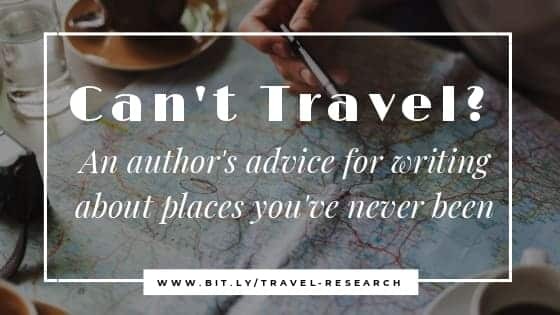 This one is especially important for historical and fantasy romance writers, as it’s the one that’s most different for us. In 1810, when Necromancer Vow takes place, Bath was two days away from London by stagecoach. Thus, visitors generally stayed at least a month, or even years. Getting to Bath was an ordeal. These days, it’s an easy day trip with an hour-long train straight from London. There’s also the problem of distance when it comes to different sized countries. Living three hours away by train in England isn’t living close by—it’s half the country. But in Canada, three hours isn’t so bad. You probably still both live in the same province. Or two places might look close together on a map, but take hours to get between. I once got off the bus to take a shortcut through a park. Only that park turned out to be a State Park more than five miles wide, with a two hour march under the hot sun with no water. It would have been faster (and healthier) to spend another hour on the bus. The next time you research a setting you can’t visit yourself, keep questioning yourself. What might you be misunderstanding or mis-seeing? What assumptions are you using in your work? Have you ever been to a similar place? And by that questioning, you’ll get closer to the real authentic feeling of the place. Olivia Helling writes wonderfully dark fantasy, including the Godsbane Prince series and the historical fantasy romance series Damon Snow. Although she grew up an avid book lover, she couldn’t find the LGBTQ fantasy she’d always wanted. So now she writes them herself.